It's December - and that means treats! Well, around here it does. Treats to eat, treats to share, cookie exchanges, gift packages, and more to eat. 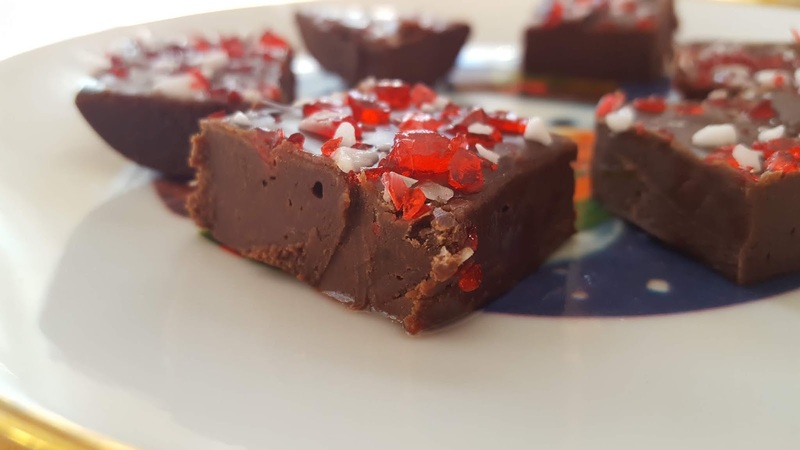 :) We've been in test kitchen mode for a little while now, and this is a new fudge recipe I stumbled across the other day and immediately wanted to try out! 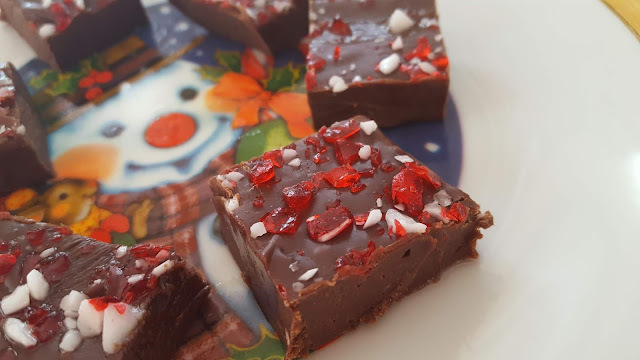 Because chocolate, peppermint, and espresso? Yes, please! This recipe is super soft and creamy, you'll want to keep it stored somewhere cold to make it easier to handle when eating. It's deliciously fudgy with a cool kiss of peppermint. They're making it easy on us now and pre-crushed peppermint candies are available everywhere. The original recipe calls for all dark chocolate, but I'm pretty much the only person I know who loves dark chocolate so I used half dark and half milk and that flavor seems to be perfect for even the milk chocolate purists in my life. Cut your pieces small - a little goes a long way - and enjoy! In a medium saucepan, over medium-low heat, stir together both types of chocolate, the condensed milk, and the butter, stirring constantly until smooth, creamy, and evenly blended. Remove from heat and stir the espresso powder in. Use a rubber spatula to pour the mixture into a 2-quart dish prepped with a thin coat of cooking spray or butter (to prevent sticking). 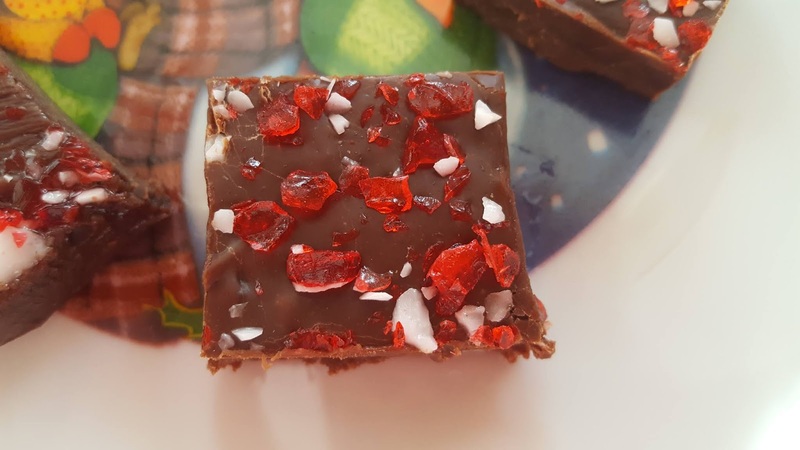 Smooth mixture and pour crushed peppermint pieces over the top, pressing gently so they stick. Allow to cool for about 30 minutes on the counter and then place in the refrigerator to set. 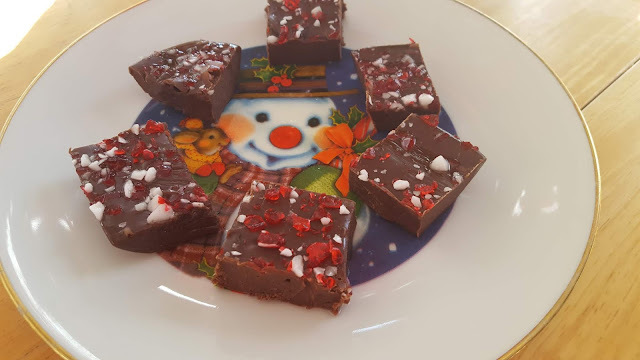 Note: This is a very soft fudge and should be stored either in the refrigerator or freezer - you can eat it directly out of the freezer (no need to thaw)!